This is just a preview of this video collection. It showcases just the first 30 seconds of the first video included in the collection. Buy it to display and enjoy the complete accompaniments. Enjoy playing this unique collection of ancient arias accompanied by concert pianist, Lisa Maresch. Thanks to our unique interactive video player, you can easily speed up and slow down the tempo of the piano accompaniment audio/video track, set up loops and markings - all while reading your violin part from the same video. A useful tool for any musician. 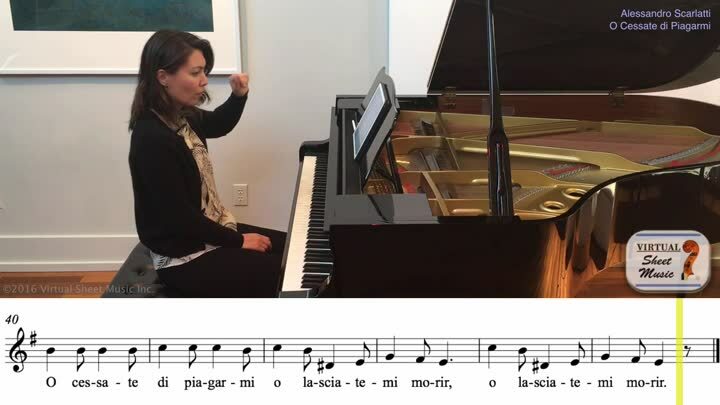 The videos show the melody with lyrics synchronized with the piano accompaniment. These videos have been created with professional quality equipment for an optimal video and audio experience. The audio/video recordings have been directed by professional audio engineer, Raj Lathigara.